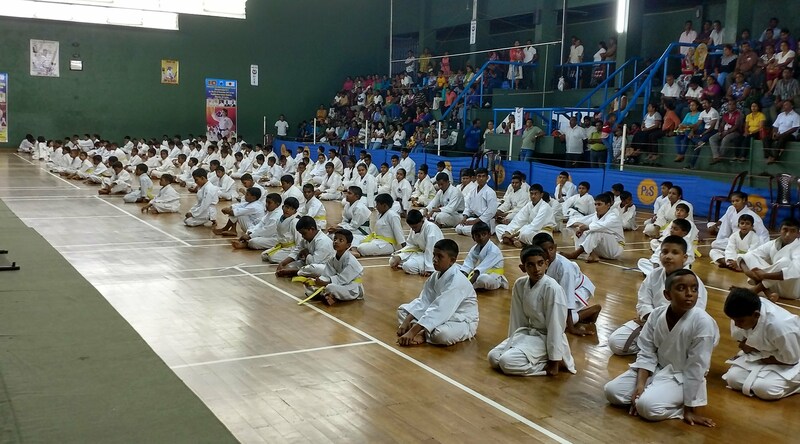 Our 28th Anniversary Tournament was held on Saturday the 16th of September 2017 at the S. Thomas' College Sports Complex in Mt. Lavinia. In appreciation of outstanding support for the SAKC 2017. Duly completed applications should be submitted on or before the 31st of July 2017 and can be downloaded from the Forms page. 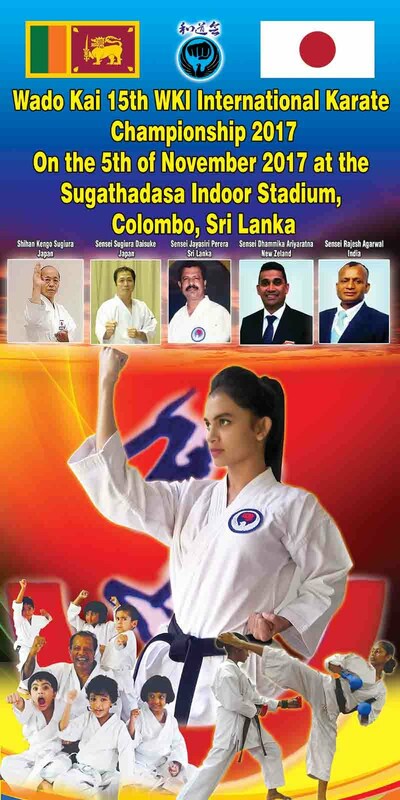 A team from Wado Kai Sri Lanka will leave the island on the 17th of March 2016, to represent the country at the above event, which will be held in Hamamatsu, Japan. 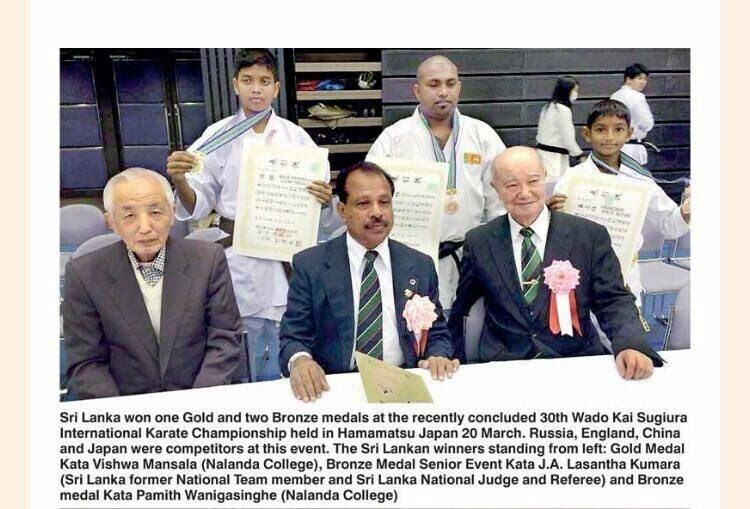 Shihan Jayasiri Perera, Chief Instructor of Wado Kai Sri Lanka was recently awarded the 7th Dan Black Belt by the World Karate Federation. 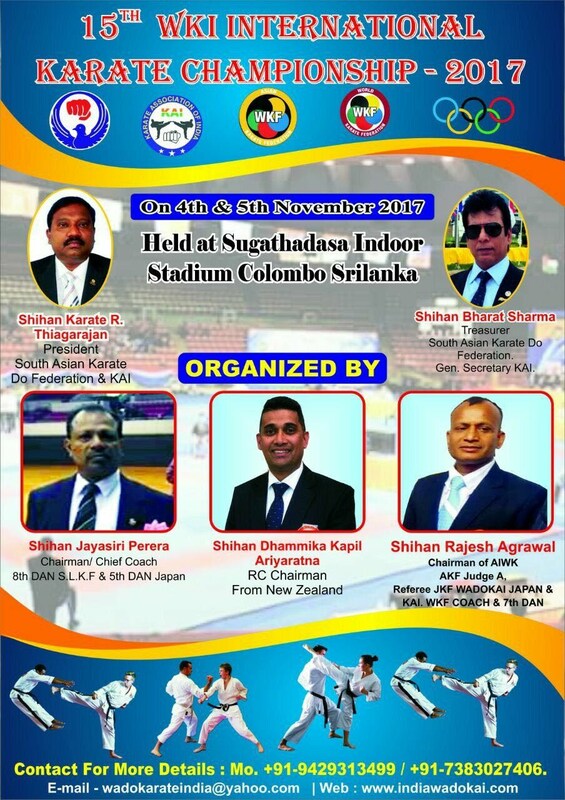 He was also awarded the 8th Dan Black Belt by the Sri Lanka Karate Do Federation, which is the National Body for the martial art in Sri Lanka. 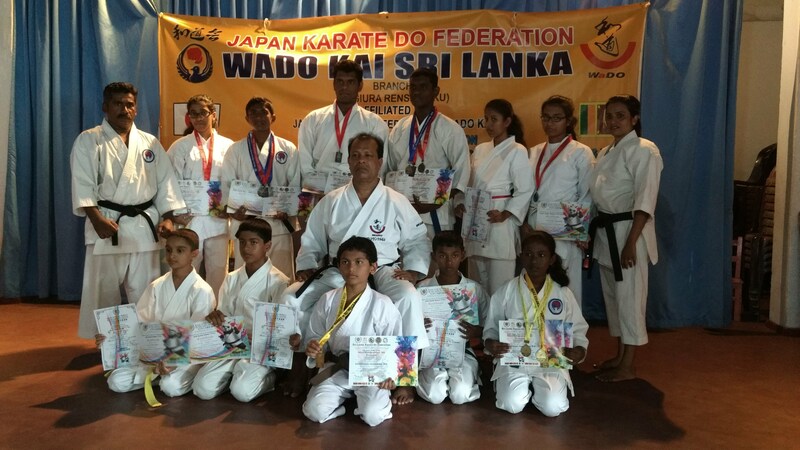 A contingent from Wado Kai Sri Lanka took part in the Annual Wado Kai Tournament in Hamamatsu this year as well. 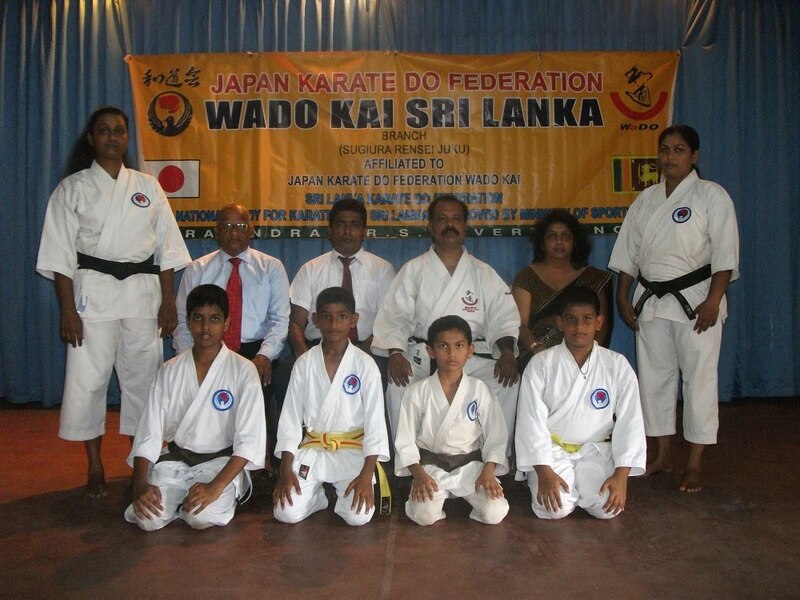 They left the island on the 13th of March to participate in a special training conducted by Sensei Daisuke, son of Shihan Kengo Sugiura, after which they participated in the tournament.